The truth is, Camlann doesn’t even sleep. Or doesn’t need to. He does it voluntarily because he can. Ha ha ha. Huh, guess even in human form a sword is a sword. They always want to be next to their wielder. Even if they’re mad at them. Huh, I wonder where Lake went? Just wanted to pop in a say I love WAM! I’ve been lurker reading for years. 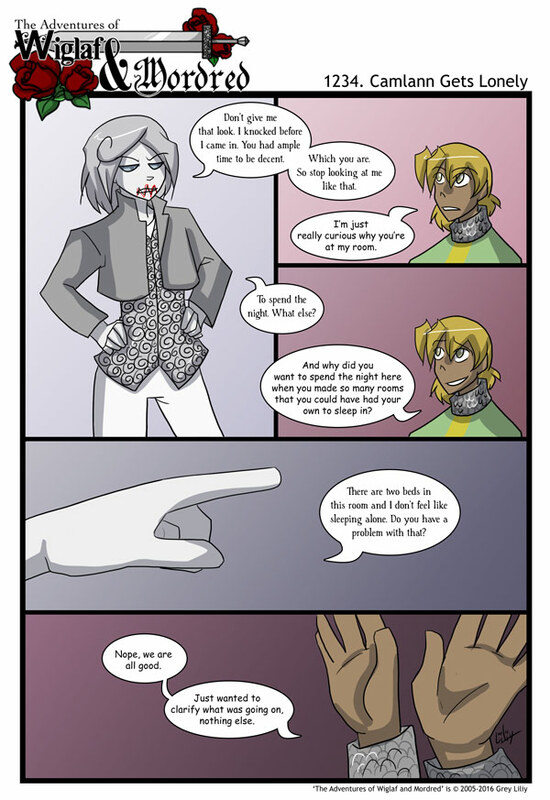 That first panel of Camlann makes me want to cosplay him. It’s been gradually getting more and more obvious, but now it’s so apparent I can’t help but wonder: Damn, Camlann, when did you get so tsundere?